Dedicated to raising awareness and research funds for a rare bone disease called F.O.P. (Fibrodysplasia Ossificans Progressiva). small, loose particles of stone or sand. "She had a bit of grit in her trail shoe after running the Dipsea Race." 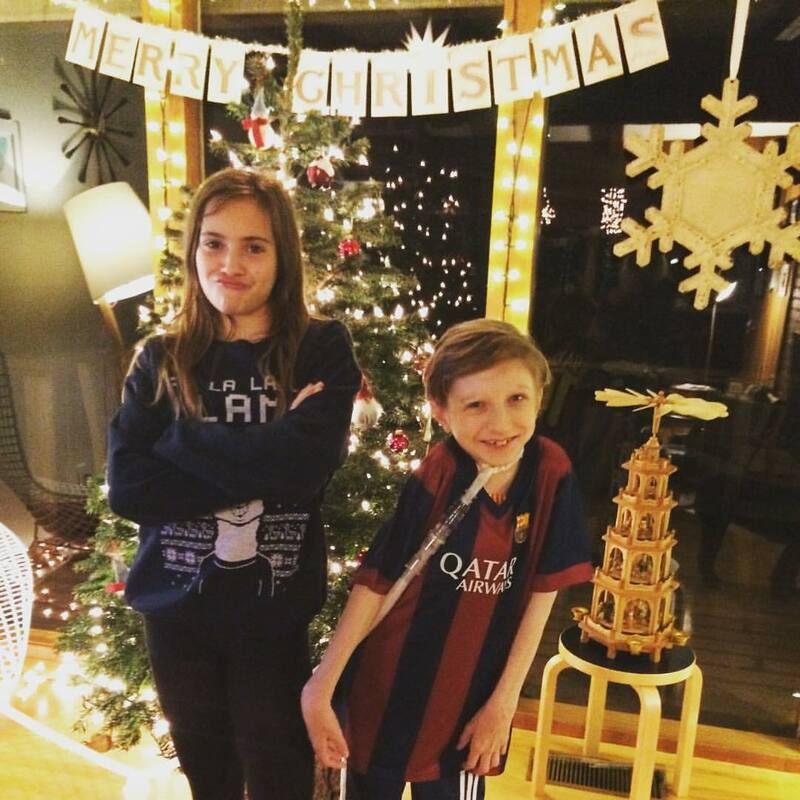 "Hayden displays the true grit in the face of a rare debilitating disease." Sunday June 10th, the Girls with Grit will be running the Dipsea Race in honor of Hayden's Hope and the Int’l FOP Association to raise awareness and funds research for a debilitating disease called Fibrodysplasia Ossificans Progressiva or FOP. Hayden was diagnosed with FOP on Sept 11, 2002. This genetic disease affects 1 in 2million people. He is one of 800 people in the world with the condition. Slowly his muscles are turning to bone, creating a second skeleton, rendering him immobile. Since Hayden was diagnosed in 2002, the gene that causes this horrific condition was discovered in 2006, multiple pharmaceutical companies have started collaborating to find a therapy. Currently, there are three active and recruiting drug trials for a potential therapy. This is an amazing accomplishment considering that most genetic conditions never find a therapy. There are no genetic conditions that have a cure. Please consider donating to the IFOPA in honor of Hayden’s Hope. Click here to donate on line. Or if you wish to send a check, please make the check out to the International FOP Association and send to Hayden’s Hope / IFOPA c/o Megan Olsen 164 Tamalpais Avenue, Mill Valley, CA. 94941. The International FOP Association is a 501c3 and has received a gold rating for transparency from GuideStar. Every year, April 23th is the FOP Awareness Day. This year is even more special because it marks the 30th anniversary of the founding of the International FOP Association by Jeannie Peeper. Click here to read more about how this amazing women started it all with some letters. Rare Disease Day is an observance held on the last day of February to raise awareness for rare diseases and improve access to treatment and medical representation for individuals with rare diseases and their families. It is estimated that FOP affects about 3,500 people worldwide, or approximately one in two million people. Such statistics may be better grasped by the following example: if a large football stadium holds 100,000 fans, one would need to fill nearly 20 football stadiums to find one person who has FOP. At the present time, researchers are aware of approximately 800 people throughout the world who have FOP. Hayden to enroll in the Clementia Drug Trial. John and I are so excited about this. Hayden is enrolling in the drug trial at UCSF in 2 weeks. In the beginning of December, the Int'l FOP Association hosted a family gathering in San Francisco. The IFOPA started hosting family gatherings over 10 years ago. 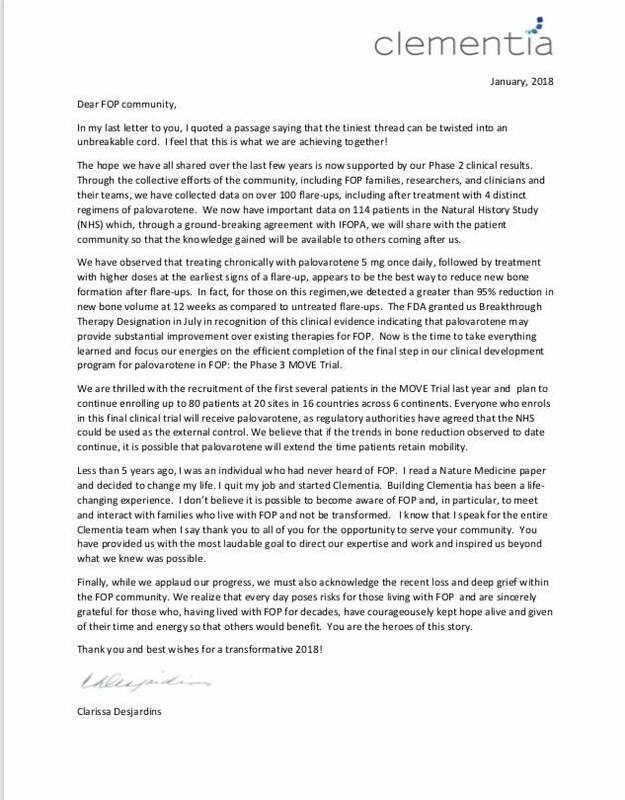 The purpose is to bring together patients and families in a local region, in our case the West Coast, to learn about the latest FOP research, interact with the world's leading FOP clinicians and to connect with other patients, their families and caregivers. There were people from Seattle, Sacramento, San Francisco, Fresno and Southern California. We also had some FOP'ers come from other parts of the country. It was nice to finally meet some of the friends I had made through the IFOPA's Facebook page in person. Felt like catching up with old friends. We heard from two different pharmaceutical companies on their current research and drug trails. 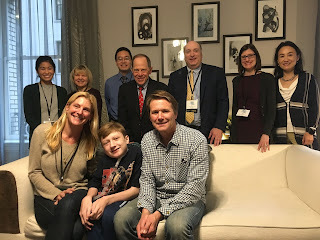 Hayden was also able to meet with the researchers and Dr. Frederick Kaplan to talk about his personal journey with FOP. Please support me on my Dipsea run honoring Hayden and FOP research by donating to the International FOP Association. Click here to make a donation. On Sunday June 11th, I will run the 107th Dipsea Race in honor of Hayden, to bring awareness for FOP and to raise funds for research. The Dipsea Race is a 7.4 mile trail race from Mill Valley through Muir Wood and ending in Stinson Beach. 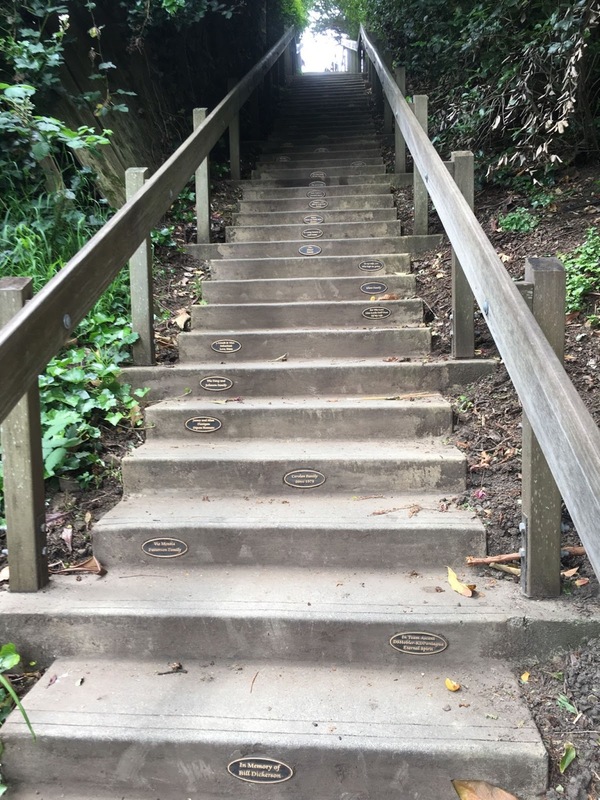 600+ stairs are scattered throughout the race. Fibrodysplasia Ossificans Progressiva is a rare and debilitating genetic condition that essentially turns muscle into bone, creating a second skeleton in the body. Currently there is no known cure. There are 800 people in the world affected with FOP - 285 of those people are here in the United States. Hayden was diagnosed with FOP almost 14 years ago. Since then, the FOP lab at the University of Pennsylvania, has discovered that the ACVR1 gene causes FOP. Armed with that information, the FOP Lab in conjunction with the International FOP Association, have reached out to pharmaceutical companies to explore the possibility of a cure. Today, we are in Phase 2 drug trials with Clementia Pharmaceuticals for a drug called Palovarotine. The drug is showing much promise. 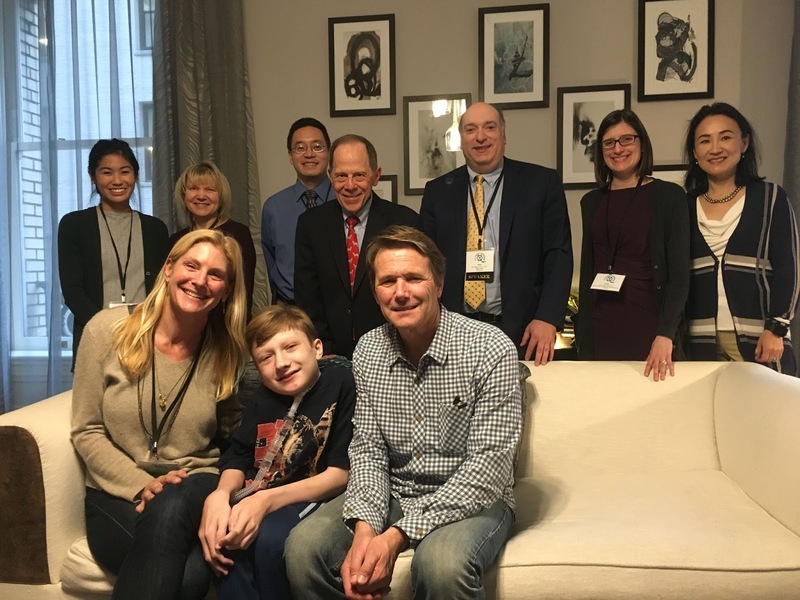 Hayden is currently enrolled in Clementia's Natural History Study which will help researchers understand the progression of FOP and how an investigational treatment might affect the course of the disease. FOP is designated as a rare disease by National Organization for Rare Diseases. Few rare diseases have a therapy or cure. Most funds for research for a rare disease come soley from family fundraisers. The FOP lab at the Department of Orthopaedic Surgery at U of Penn has a budget of $1.5 million/year for research. 75% of these funds come from family fundraising and donations. 25% come from institutional support (NIH/NIAMS, Orthopaedic Research and Education Foundation). To learn more about the International FOP Association go to www.ifopa.org. The Rare Impact Awards is a charity event that celebrates those who are boldly leading efforts to make a difference for people living with rare diseases. The benefit is hosted by NORD, the leading independent nonprofit organization representing the 30 million Americans with rare diseases, and brings together supporters of the organization’s mission. The 2017 honorees include patients Ellie McGinn, Christine Grube, and Brandon Hudgins; caregiver and White House Precision Medicine Initiative appointee Matthew Might, Ph.D.; patient and advocate Beth Nguyen, R.N. ; researchers and clinicians Robert Desnick, Ph.D., M.D., Frederick Kaplan, M.D., and Cynthia Tifft, M.D. ; national health leaders Rep. Diana DeGette (D-CO) and Sen. Johnny Isakson (R-GA); A Twist of Fate – ATS, a nonprofit patient organization serving the Arterial Tortuosity Syndrome community; and industry innovators Advanced Accelerator Applications USA, Biogen, CSL Behring, Intercept Pharmaceuticals, Jazz Pharmaceuticals, and Sarepta Therapeutics. Nationally touring music artist and winner of NPR Music’s 2016 Tiny Desk Contest, Gaelynn Lea, will perform original songs during the event in support of the millions of people with rare diseases. In addition to her work as a performing and recording artist, Gaelynn is a public speaker who uses her music as a platform to advocate for people with disabilities and to promote positive social change. The David Bach Consort will also perform. The Rare Impact Awards serves as a NORD’s signature fundraiser to support the organization’s mission of providing education, advocacy, research, and patient support for the 1 in 10 Americans who are battling rare diseases. More than 350 distinguished guests are expected to attend. The event is presented with support from benefactor sponsors Sanofi Genzyme and Shire and diamond sponsors BioMarin Pharmaceutical and CSL Behring. To purchase tickets, visit rareimpact.org/awards. 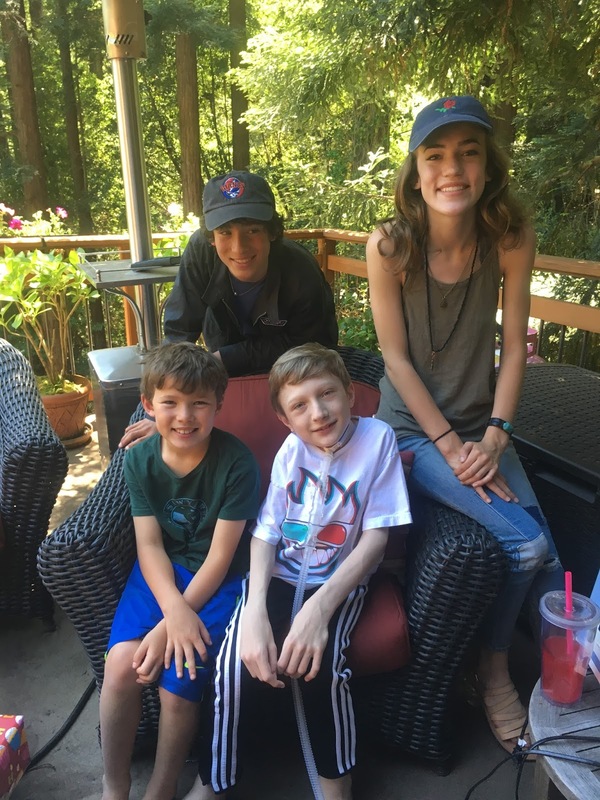 Hayden's Hope is dedicated to raising awareness and research funds for a rare genetic condition known as FOP or Fibrodysplasia Ossificans Progressiva. An annual fundraiser is held on behalf of the International FOP Association (IFOPA), a 501C3 non profit, to raise funds for research at the FOP lab at the University of Pennsylvania. 75% of funding for research comes from family fundraisers and donations such as yours. 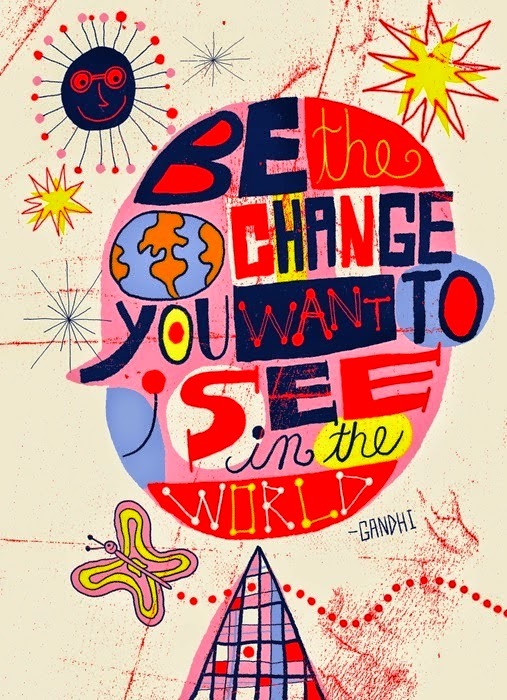 Your generosity goes a long way to help find a cure for this devastating disease.